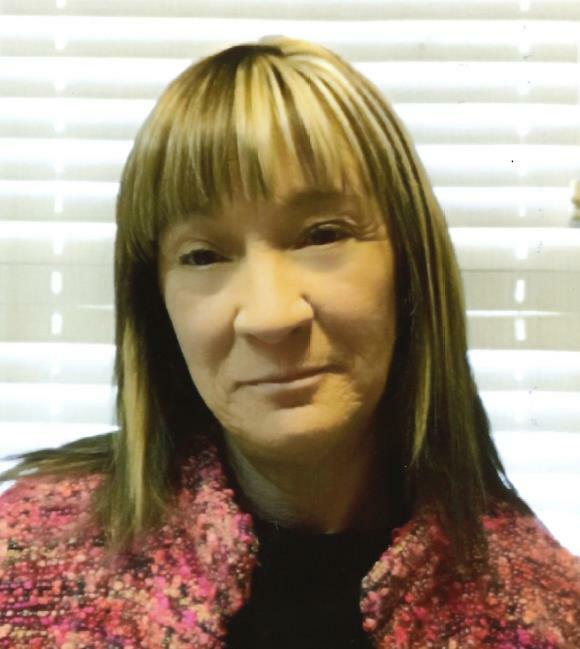 Evelyn Mae Whittet, 63, of Noble, OK passed away on March 17, 2019 in Oklahoma City, OK.
She was born July 17, 1955 in Oklahoma City, OK to the late Jim Whittet and Henryetta Carter Brown. Evelyn loved life and her family. She enjoyed doing karaoke with her daughter and spending time with her family. She loved her two dogs Doc and Asgard. She enjoyed living in her house in the country where she could live on the land and loved watching and photographing the nature and wildlife. She was preceded in death by her parents and her sister LaVerne Brown. Left to cherish her memory are her brother Dr. Timothy R. Whittet and his wife Rhonda; daughter Laura Butler and her husband Brian; stepsons Chuck Fenwick and Jerry Fenwick; boyfriend Michael Terry; grandson Austin Butler; niece Gabi Patzkowsky and her husband Tyler and their sons Evan and Jack; nephew David Whittet and his husband Adam Vinson; and many other loving family and friends. Memorial service will be held Friday, March 22nd at 9:30 AM at Moore Funeral and Cremation, 400 SE 19th Street, Moore, OK with Celebrant Johnny Wray officiating.